The most popular Ragno model is built on the same chassis as the R14, featuring the same compact dimensions (length, width & height) and small stabiliser base area (2.7 x 2.7 metres). The R16 is ideal for accessing and working in confined spaces. 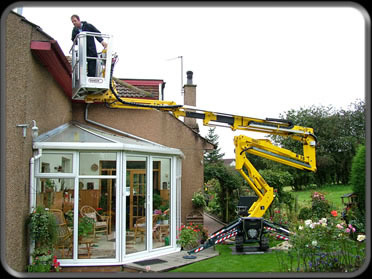 By utilising a twin section telescopic top boom (as opposed to single), the R16 achieves a greater working height than its smaller brother. This adds more performance, whilst the only drawback is that it weighs just 90kgs more. Simplicity of design is an element of both models, with the live hydraulic proportional controls being easy to use. As with the R14, this model is available with either 1 man (120kgs) or 2 man (200kgs) cage/capacity options, whilst power comes via a petrol or diesel engine, plus an AC electric motor for quiet, pollution free operation indoors. Full machinery protection and AC power outlet in the platform are standard features.